Price 1665.83 HT outside EU. 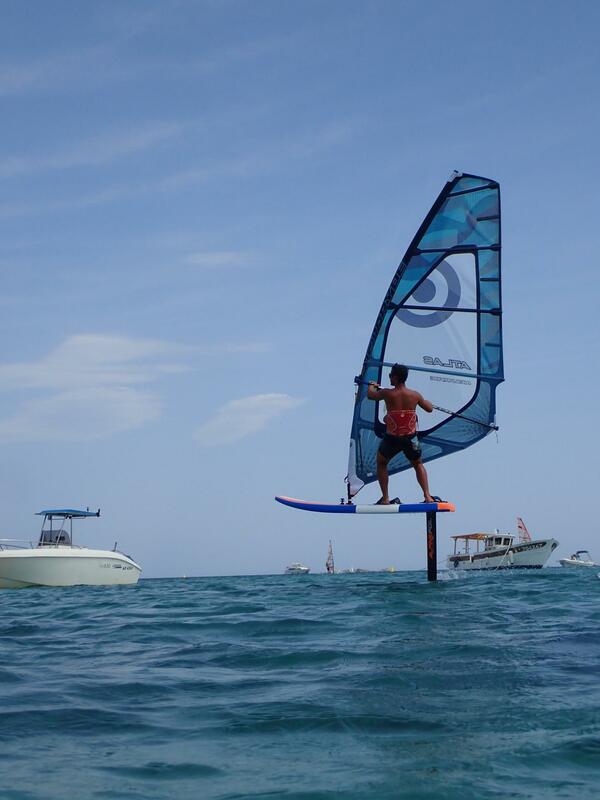 Program : Foil, Freeride. Level : Beginner to expert. 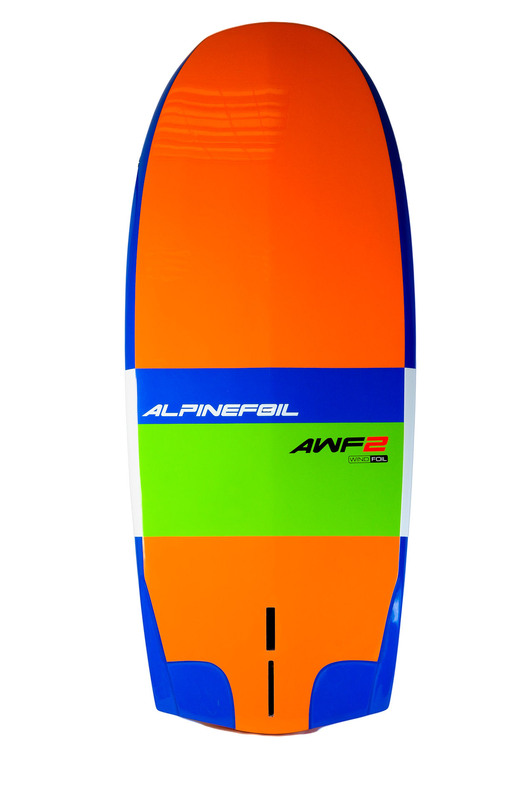 The new AWF2 is the dedicated windfoil board from AlpineFoil. 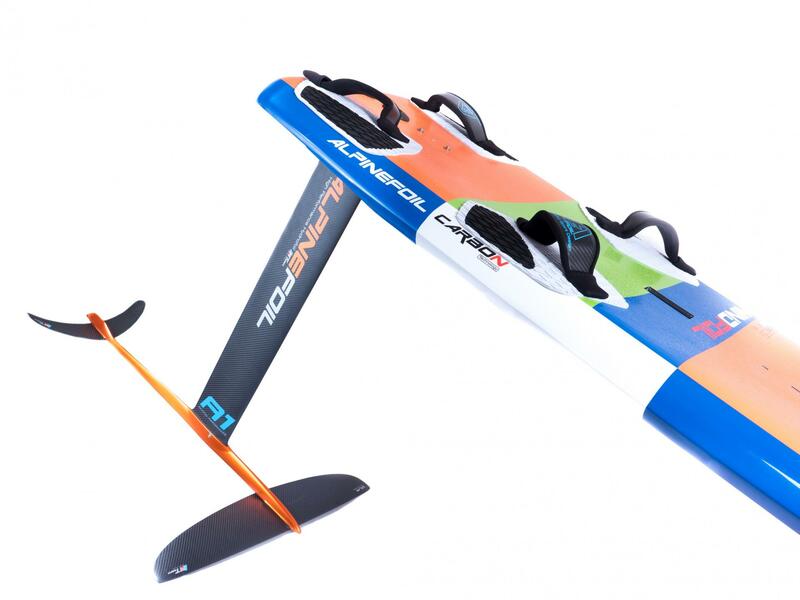 This board has already convinced people who have been lucky to try it, by the confort, the accessibility and the incredible performance on the water. The 137 litres volume allow a very high control on the water and in the air. The shape offer a very good control of the lift and a unique confort which make this board a perfect tool for every riders. 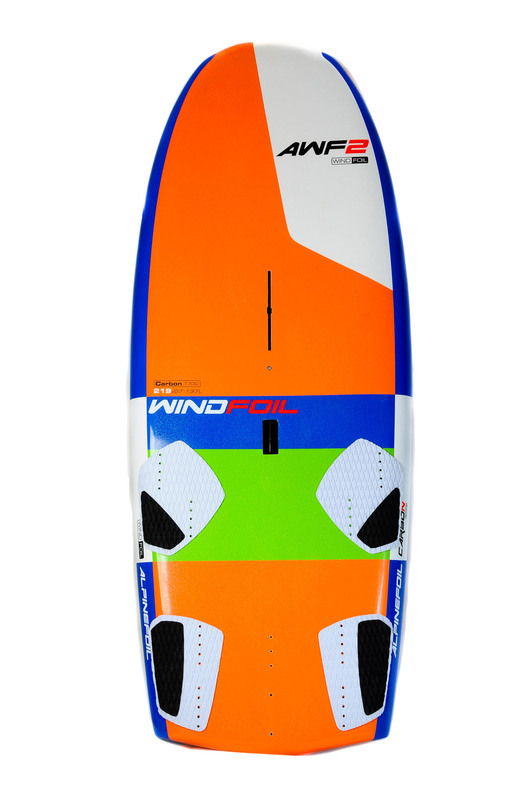 The AWF2 is very tolerant during the landing on water or the small touch, and take off very easily and fast thanks to the double concave. The footstraps position have been realign closer to the center of the board to give more maniability. The homogenous distribution of the volume give a perfect balance in the air and a very good glide for the acceleration on water. 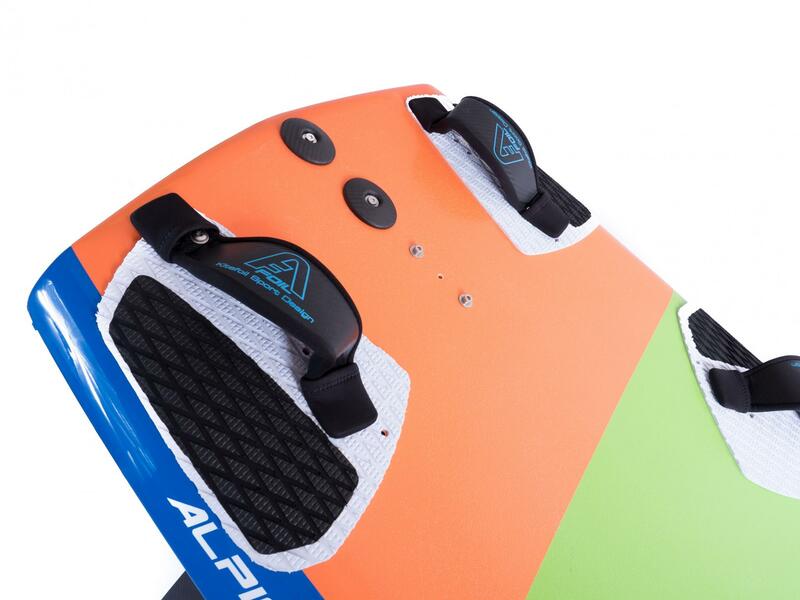 AlpineFoil has reinforced the AWF2 in order to be one of the strongest board on the market. 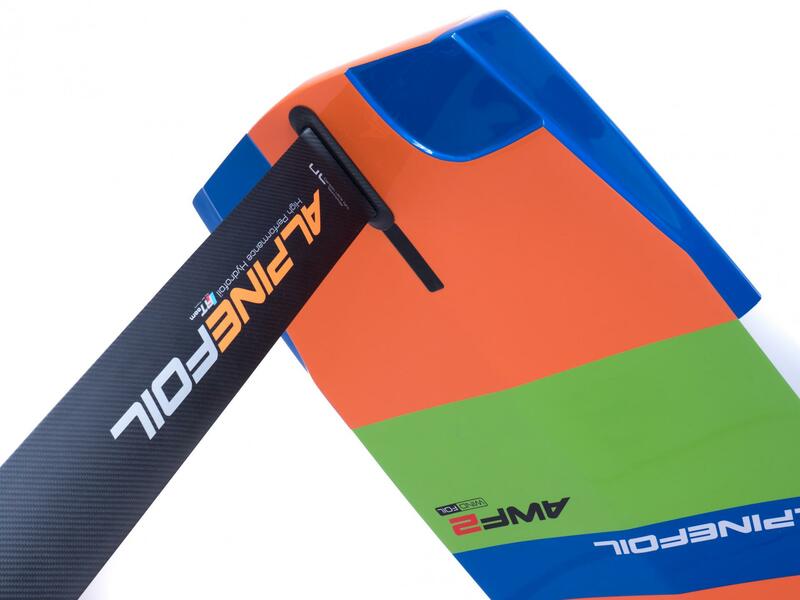 Windfoil A1 Aluminum. Carbon ULW900 wing + carbon stabilizer. Aluminium fuselage and mast of 90cm. Aluminium Deep Tuttle or Power Box housing with plate. 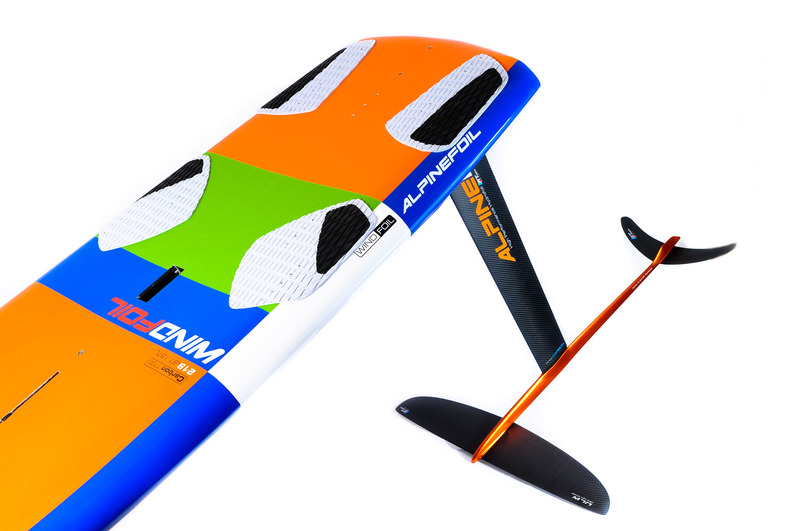 Windfoil A1 Carbon : RTeam carbon ULW900 wing + RTeam carbon stabilizer. RTeam carbon 95cm mast with integrated Deep Tuttle housing. Aluminium fuselage. 9 votes. Average: 4 / 5.